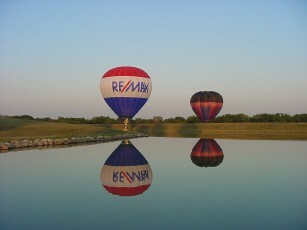 Call us to fly with Iowa's Number One Balloon Ride Company! We are a real company that flies professionally for a living. 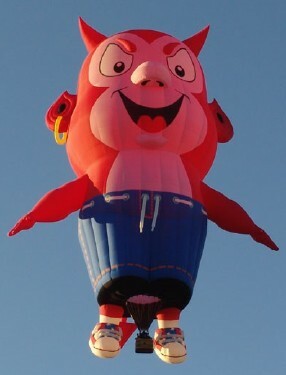 Don't be fooled by buying a balloon ride certificate online and then finding out you are flying with a part time pilot that will charge you extra fees. Just book with the best and enjoy your flight and don't worry about extra fees. 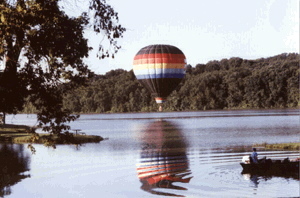 We do semi-private balloon flights! We don't do the old "Bait and Switch" routine. Yes, it is being done locally. Beware! Call us at 515-265-2402 to book your flight or purchase a Gift Certificate! Des Moines, Iowa City, Indianola, Creston, Council Bluffs, Grinnell, Waterloo, Cedar Falls, Cedar Rapids, Waukee, West Des Moines, Ottumwa,Oskaloosa, Ankeny, Ames, Ft Dodge, Washington, Davenport, Carlisle, Hartford, Albuquerque, New Mexico, Dayton Ohio, Maryville, Tennessee, Omaha, Nebraska, Galena Illinois, Moline Illinois, Knoxville, Tennessee, Chattanooga, Tennessee, Minnesota and San Juan Puerto Rico and our new favorite spots Saint Jean-Sur-Richelieu in Quebec, Canada and Leon Mexico! We are also attended an event in Bao Tao, China! 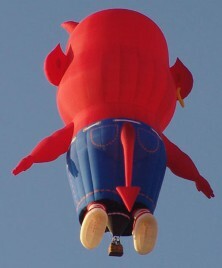 Here in the Midwest, hot air balloon flying season has been a bit strange due to the winds and the rains in December! Last year we had the wettest year recorded by the National Weather Service in Des Moines in years, then this year we had a wet spring with plenty of flooding. The weather has made flying interesting to say the least. Beautiful cool mornings and cool afternoons and hot air balloon rides in Des Moines or Indianola are on the menu this winter! We have flown in -10 degrees Fahrenheit and up to 95 degrees! We have two 17.5 Million BTU Burners above our heads, so staying warm will not be an issue! Winter weather presents wonderful visibility and views of far-off landscapes. Winter flying also presents beautiful views of the changing views of the landscapes of Iowa. 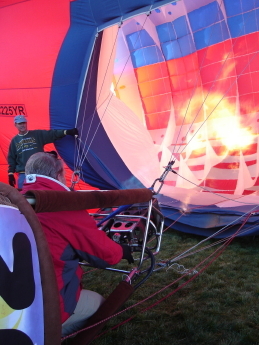 As always, a hot air balloon ride in Des Moines or Indianola Iowa, or even at the place of your choice, is the perfect way to view nature's magnificent splendor from above. 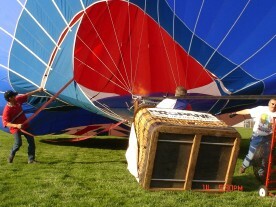 Summer flying offers a wonderful chance to get away on your own balloon flight.